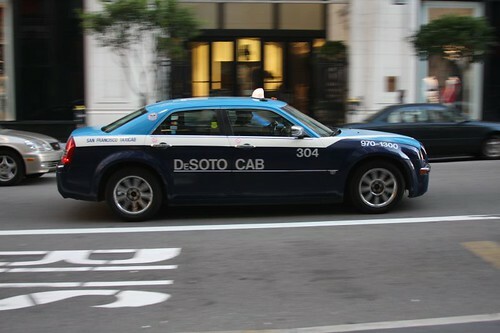 When I had the chance to talk to Supervisor Scott Wiener, a steadfast advocates of transportation reform in San Francisco’s government, I was surprised that he listed increasing taxi services as a major goal for 2012. He’s backing up his words by bringing the issue before the Metro Transportation Agency and asking for a board meeting to understand what the city is currently doing to improve taxi service in San Francisco. “People need to know that if they need to get somewhere quickly, they can jump in a cab and get there. And I personally have people tell me that if they knew they could get a cab when they wanted, they would sell their cars tomorrow,” Wiener told us. It’s worth noting that not only are cabs convenient, and a replacement for people who don’t need cars all the time, but can’t commute only by public transportation, they are safe. A major 2004 study by then consultant Bruce Schaller, who is now Deputy Commissioner for Planning and Sustainability at the New York City Department of Transportation, found that accidents were far less frequent amongst taxis than the general population. In his New York study, the crash rate for taxicabs was 4.6 reported accidents per million miles traveled as compared to 6.7 reported accidents per million miles for all vehicles. Schaller theorized that this can be attributed to the fact cab drivers are professional drivers, and though xenophobic stereotypes say otherwise, almost anyone who spends that much time behind the wheel is going to be competent. Further, if your livelihood depended on not hitting pedestrians, cyclists and other vehicles, wouldn’t you be less likely to get in a collision? We applaud that carsharing keeps cars off the road, and it’s perceived as a modern invention that harnesses the power of the internet to make cars accessible to anyone. Well don’t forget taxis–the original carshare service! This is an important cosmetic and functional improvement that San Francisco’s government should support. It will make the streets safer and less congested and city living more convenient.